The 2nd Quarter Sidelines is now available! 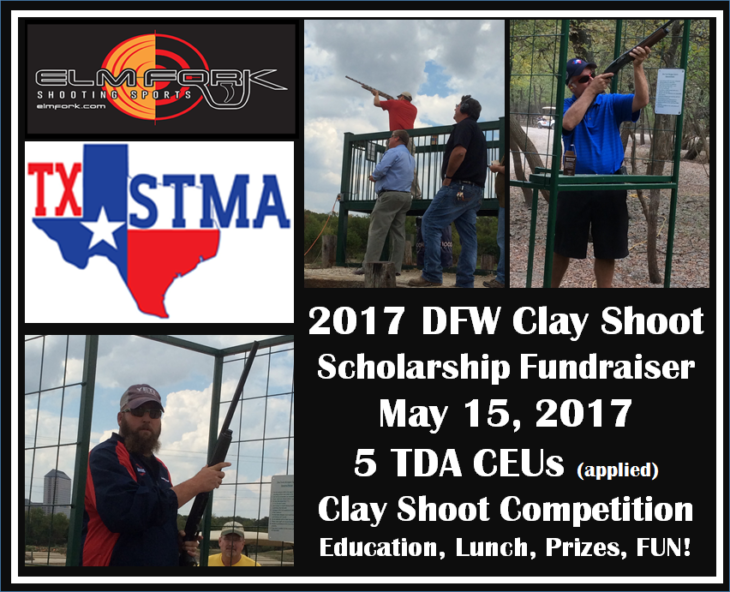 and a great DFW Clay Shoot Scholarship Fundraiser event. 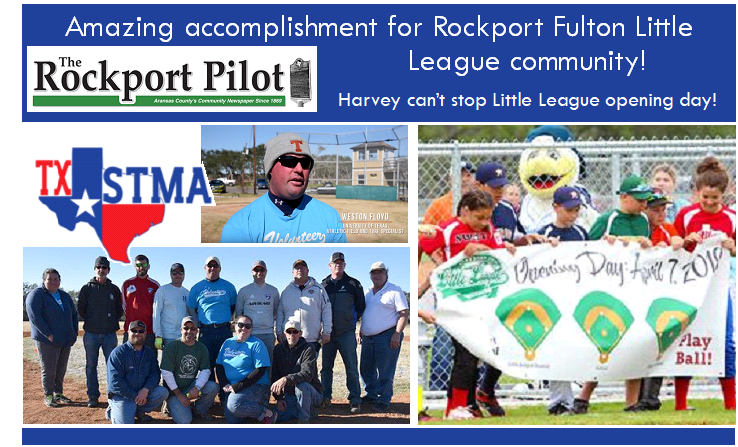 We have been very busy this spring! You’ll also find informative articles and the latest STMA news and information. 2017 Membership Directory available online! 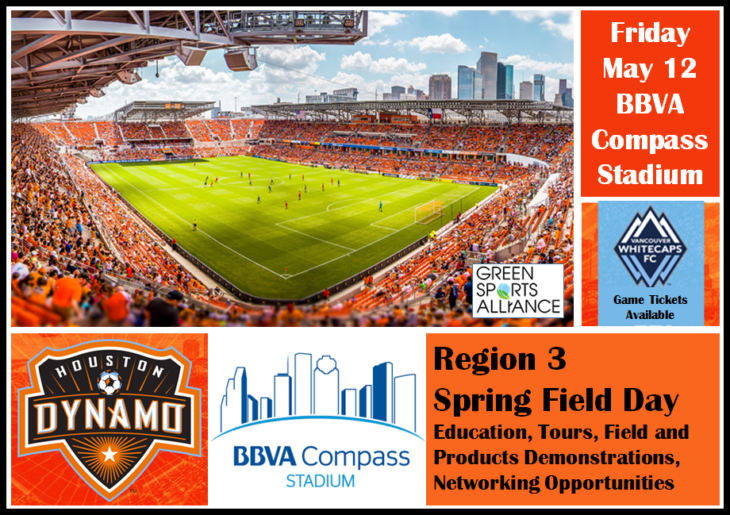 at BBVA Compass Stadium – Home of the Houston Dynamo! Our host was Dan Bergstrom CSFM, Director of Grounds. We had an action packed day of tours, demonstrations, and education. Thank you to our great speakers! 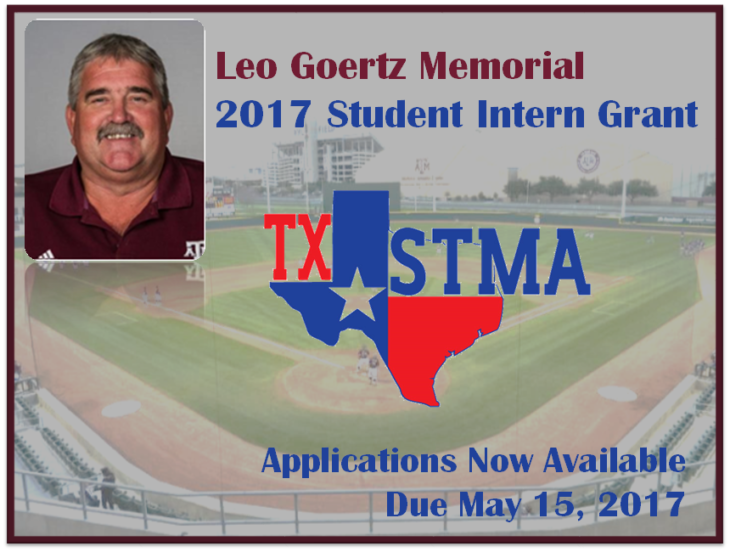 The Leo Goertz Student Internship Grant was designed to honor Leo Goertz’s legacy of serving as a mentor to countless students by providing hands-on learning experiences in the sports turf industry. This grant will be awarded to a student enrolled in an accredited college or university who is performing an internship under the guidance of a sports field manager at a professional, collegiate, or recreational athletic facility. This award is intended to help students with moving and/or living expenses associated with performing an internship and to make this experience more accessible to students interested in sports turf management. 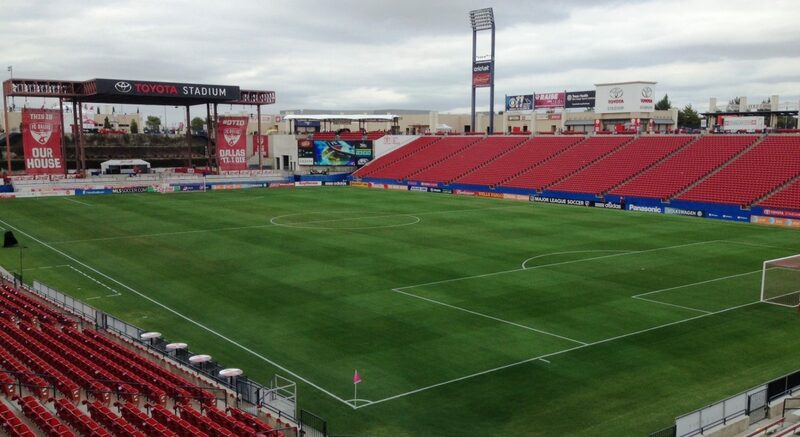 This grant is open to students interested in working in sports turf management and does not depend on them being enrolled in a turfgrass management program. This grant is open to students attending a college or university in Texas, or to students attending a college or university outside of Texas but performing their internship in Texas. Applications for this grant are due on May 15th during the year the student is performing the internship. 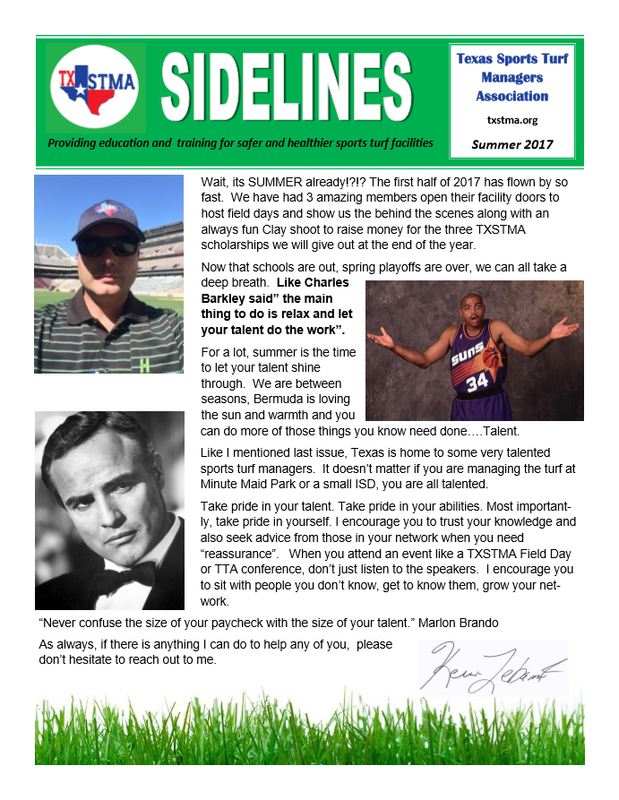 The Spring 2017 issue of Sidelines is not available! 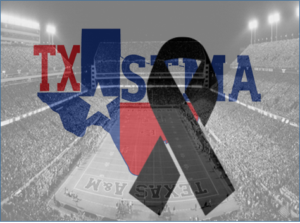 Check it out for great articles and news about the members of the TXSTMA. 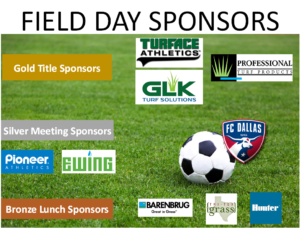 A recap of the 2017 STMA Conference and a preview of our 2017 Spring Field Day Lineup! Join us May 15 at Elm Fork Shooting Range in Dallas for a great day of education, lunch, prizes and a shooting competition! Details and RSVP instructions to be posted soon. 5 TDA Education Credits will be awarded to participants *pending approval. This event helps sponsor the 2017 TXSTMA Scholarship Fund which supports the Leo Geortz Student Intern Grant, the Dr. James McAfee Scholarship and the Cody Hobbs Scholarships. Sponsorships are available for this event. 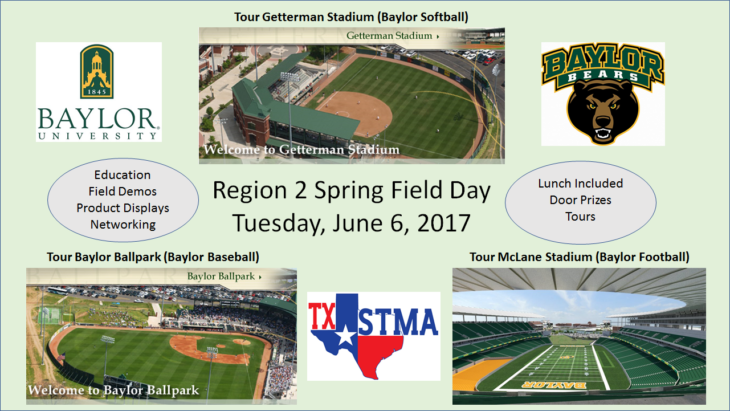 Please contact the TXSTMA office to sign up today! We love our sponsors! 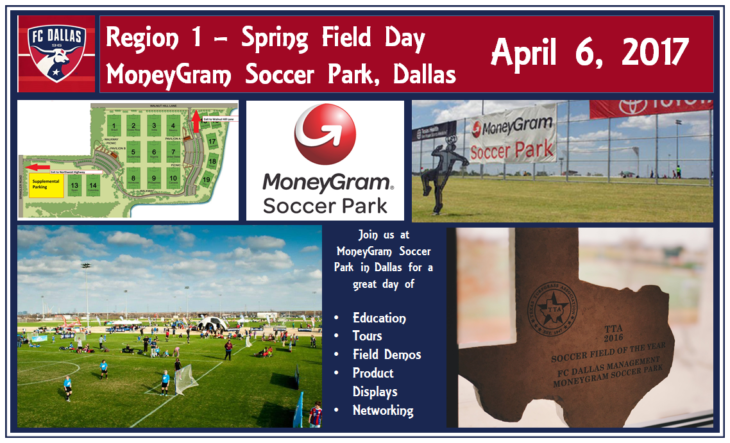 We had an awesome day on April 6th at MoneyGram Soccer Park in Dallas! Seed and Coating Technologies presented by Cassie Kearns with Barenbrug. 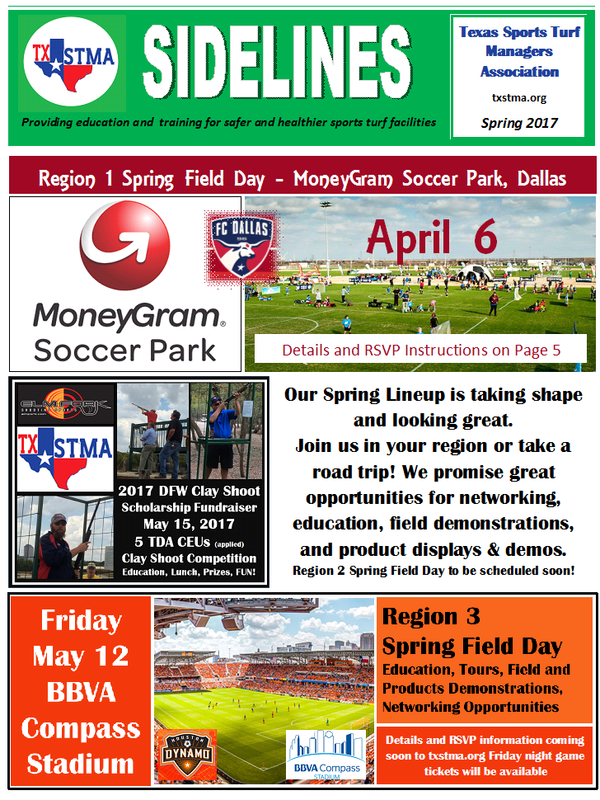 Rusty Walker with the City of Grapevine will be presenting maintenance practices for soccer fields. Finally, Josh Ogden will present best management practices regarding water usage. Click here for all the great photos from our special day! TXSTMA Community Service – CLICK!